Sylvester Iduseri Foundation also known as SID Foundation was established out of a passion to help maximize mission impact and support the course of the gospel of Christ. The visionary (Sylvester Ogbeifun Iduseri) having been involved in church activities at different levels both in the local church and on campus as President of Christian Fellowship International (CFi) in 1994 at the University of Benin, heeded a call from God into the Helps Ministry. He has vigorously but silently pursued this call since 1994 on an individual basis. Testimonies abound to that fact. In 2002, in a bid to pursue this ministry on a larger scale, there was a discussion with some CFi Alumni on how to establish a foundation involving all CFi Alumni that will ensure physical structures, assets or cash are made available to support campus fellowships and young pastors called into the ministry. Shares were purchased as a form of investment to support the activities of Campus fellowships and to sustain earlier scholarships schemes started on campus close to a decade after graduation. After explaining the vision to Archbishop Margaret E. Benson-Idahosa during the Church of God Mission International (America) convention in June 24, 2012 and receiving her blessing, there was a meeting and coming together of friends of like minds at Faith Arena Benin City in November 2012 to start a privately funded FOUNDATION to encourage donations from other well spirited individuals and organizations to work together for the purpose of supporting CFi outreaches on campus and other ministries. This was to be achieved by providing Helps and capacity building initiatives at a larger scale across all denominations. The visionary suggested that the foundation be called CFi Foundation but upon deliberations by friends and other stake holders, it was agreed that the vision of the foundation is beyond CFi, where the passion was first incubated. It was also agreed that the vision should not be limited to only CFi but should be extended to other parts of the body of Christ, just as the visionary was already doing individually. It was then agreed that the foundation be given a different name. Members of the board of trustees then agreed that in order to make it clear that the foundation is not a church, but rather a non denominational and trans-denominational faith based organization, aimed at supporting the course of the gospel of Christ, the foundation should be named Sylvester Iduseri Foundation. The Foundation was inaugurated in August 23, 2014 by Archbishop M.E. Benson-Idahosa and witnessed by other Ministers like Bishop Sam Imokhuede, Rev.Wale Ajayi, Rev (Dr) Osadolor Asemota, CFi family, BoT members and friends of the foundation amongst others. Remarkably, on the same day, the Foundation gave out the multipurpose hall to Pastor Francis Uwaifoh to use freely for his ministry. After seeing this, the Archbishop shaped the Foundation’s story by her prophesies and words of inspiration when she stated ” This is history and I like history, it is better to make one for others to read; we have never seen this before in this Ministry and I am glad I am alive to witness this and surely, others are going to come for partnership and move the vision forward”. Through this timeline it is apparent that the Foundation’s vision has evolved over twenty years and that the message behind the corporate milestones has become the cornerstone of the Foundation’s brand. We invite you to learn more about our history as we continue to write daily the next chapters of our journey. The members of the Board of Trustees are seasoned Professionals and trusted Men of God who can be worked with and the Foundation looks forward even more, to building a rewarding and productive working relationship with like minded individuals and organizations. In conclusion, knowing that coming together is a beginning; keeping together is progress and working together is the needed success, yes you can – be part of this Foundation’s amazing journey in the knowledge that God’s LOVE is still the ultimate destination for humanity. We are therefore excited to share our history with you. Our foundation is built on dignity and genuine passion for service driven by our collective responsibility for high performance providing the needed motivation to support the Helps Ministry. Our shared values of service, teamwork, responsibility, and integrity help guide our behaviours and decisions, inspiring us to define what it means to be a responsible corporate individual and entity. Working together as one body nothing will be restrained from us that we have imagined to do. Also ingrained in our minds “we and those the Lord has given to us are for signs & wonders” in this generation. We know we are not just commissioned and empowered to represent the hopes and dreams of a continent, but to represent the hopes and dreams of all civilization. Our goal is to start as a privately funded foundation and become a strategic global foundation with a strong knowledge and network to develop and increase the assets and workforce in God’s Kingdom which is far greater than any particular denomination. 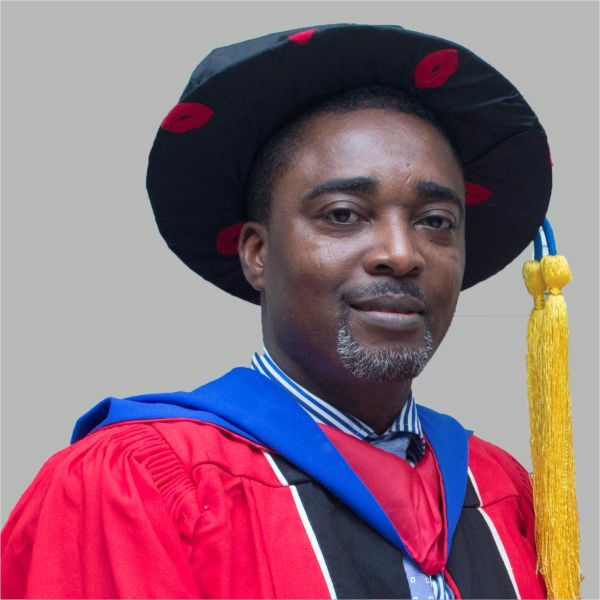 Sylvester Ogbeifun Iduseri is a well-rounded professional with experience in Project Management, Product Development, Process Engineering, Corporate Strategy and Systems Optimization. He has successfully delivered complex projects like the Deep waters project worth over USD 3 billion as the Engineering Coordinator. He has passion for Helps Ministry. He is presently with TOTAL Nigeria as a Capacity Development Manager. SID foundation is also seeking to team up with partners around the world via an expanding network of goodwill to take on some challenges not listed here but is still within the vision of the foundation. We believe in promoting & building a culture of integrity to sustain new bridges of our relationships.